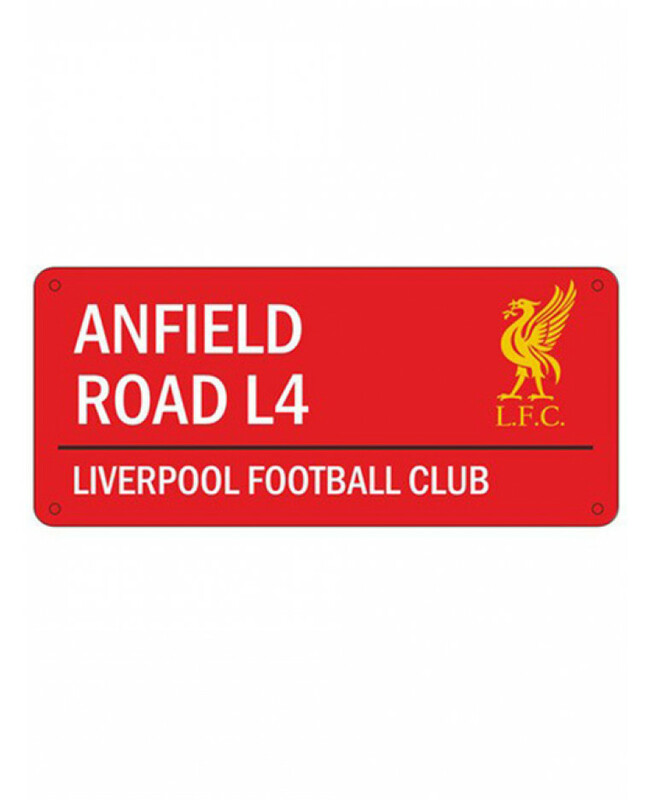 This Liverpool FC Anfield Road Street Sign makes a great gift for Liverpool fans of all ages! 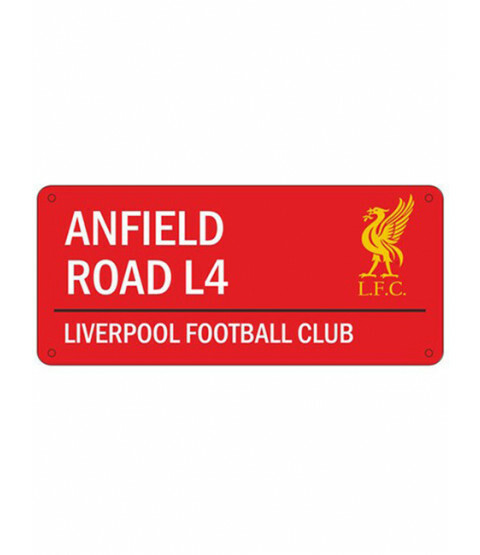 The metallic embossed sign features 'Anfield Road L4' as well as the famous Liverbird club crest on a red background. Come on you Reds!